Sought after for its refillable feature, you'll fall in love with the Exacompta Club Leatherette Journal (5 x 7). 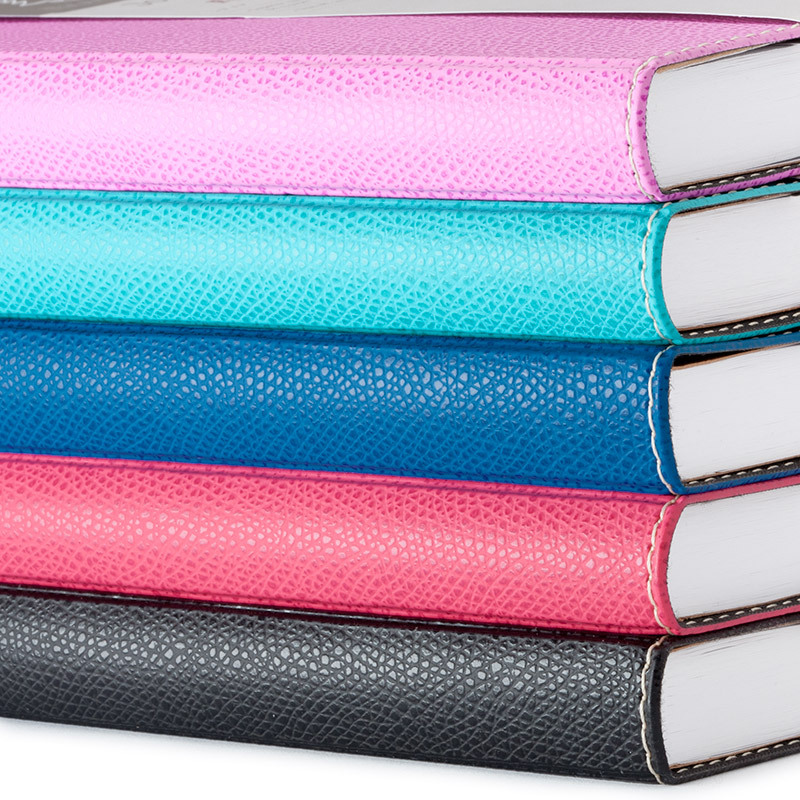 Choose from several fun cover colors and add a touch of class to your journaling with the grained leatherette cover that is stitched around the border. 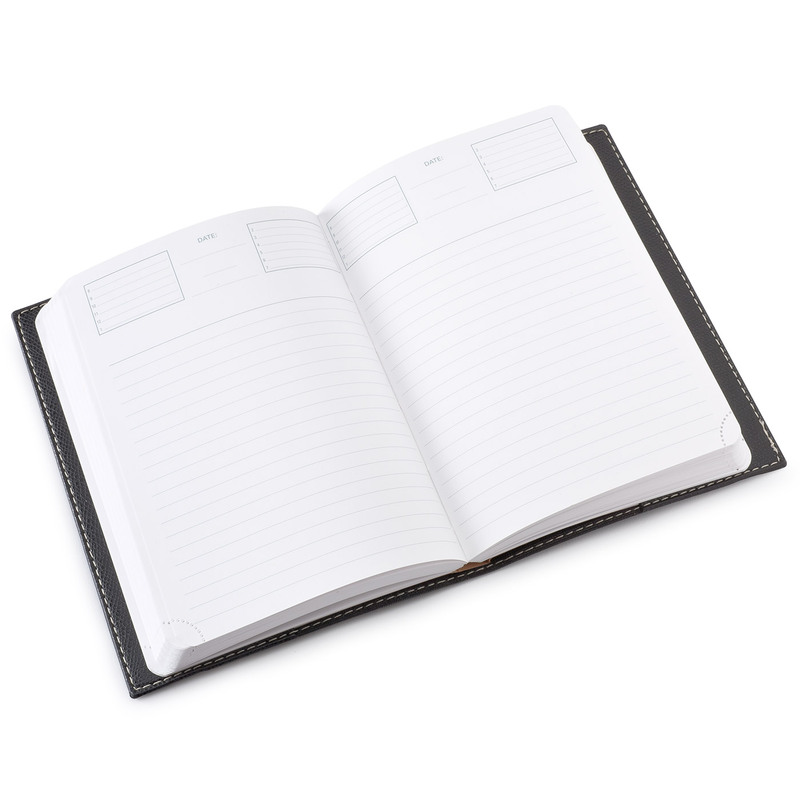 For your ease, a Ruled Undated Refill with 365 pages comes already inserted into your Club cover, ready for your writings. And when you finish with one refill and need to replace it, the sturdy binding of each refill allows them to be stored easily on a shelf after use, like a standard book. 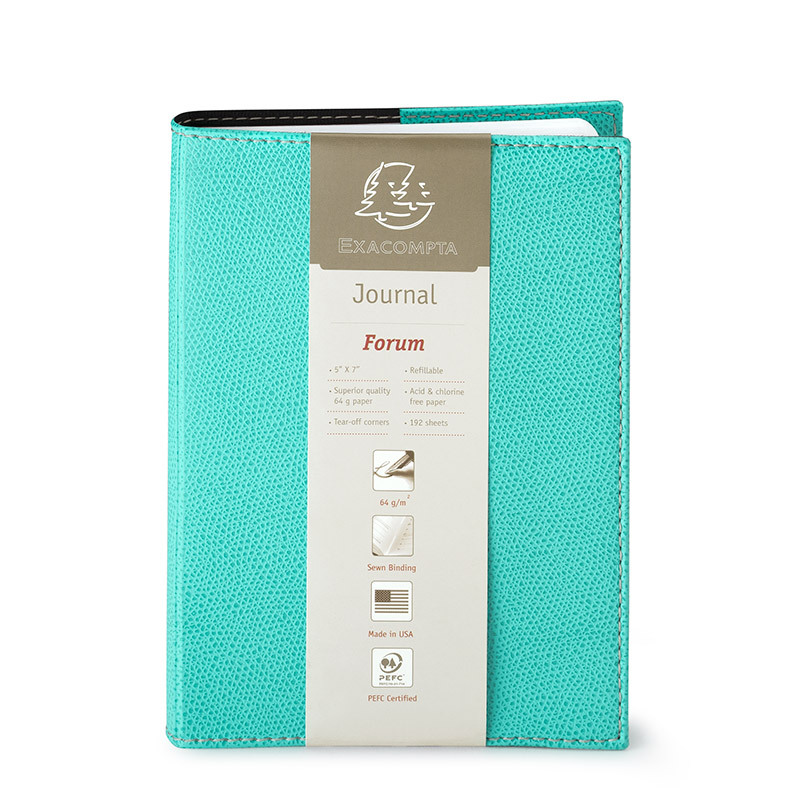 You can find the refillable product, called the Exacompta Journal Forum Refill. You can find a link to the Refill product below as a cross-sell on this page (or simply search for "Exacompta Forum Refill"). The refills are available in a few page styles.